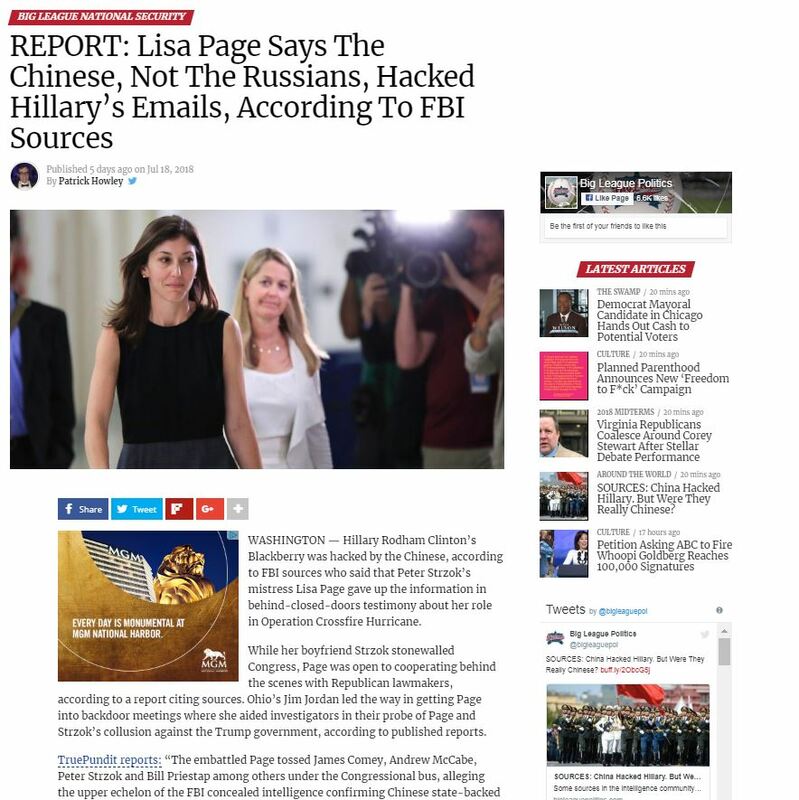 A made-up story claiming that former FBI attorney Lisa Page told Congress that China, not Russia, was responsible for hacking during the 2016 election spread throughout far-right online spaces and fake news sites and onto radio. Page’s attorney has rebutted the claim. 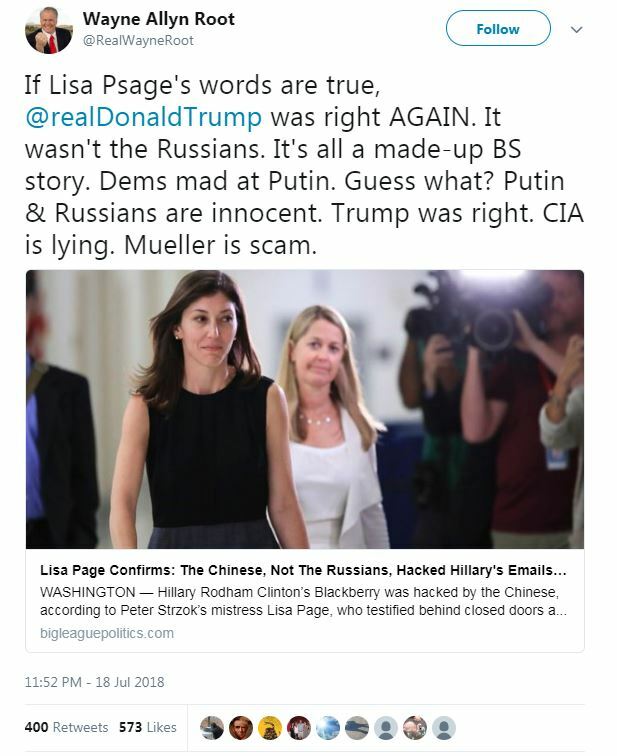 There is no evidence that Clinton’s emails were ever hacked. 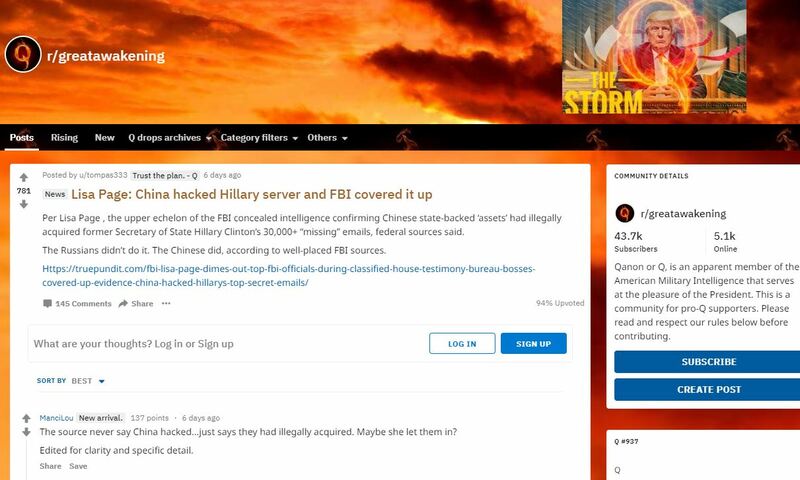 Rather, emails account of Clinton campaign chairman John Podesta, and the networks of the Democratic National Committee (DNC) and the Democratic Congressional Campaign Committee (DCCC) were all hacked. 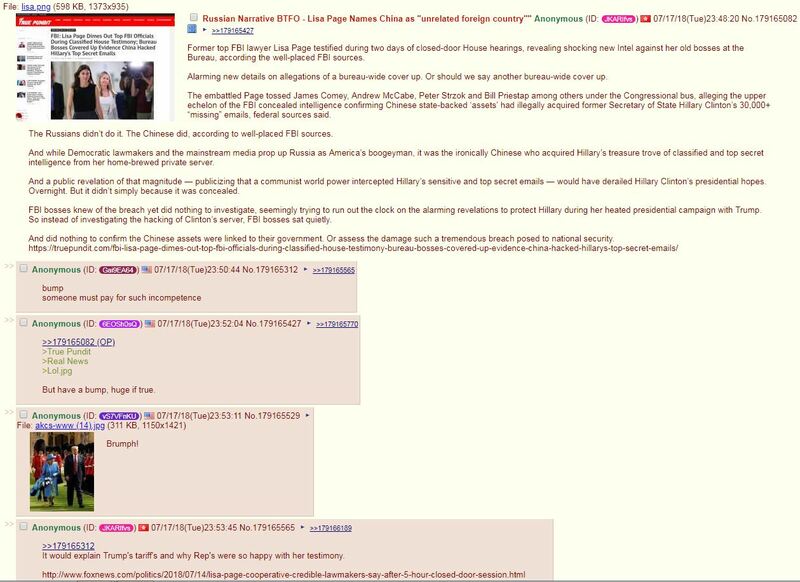 A recent indictment from special counsel Robert Mueller linked 12 Russian military officers to the hacks of the DNC and DCCC. 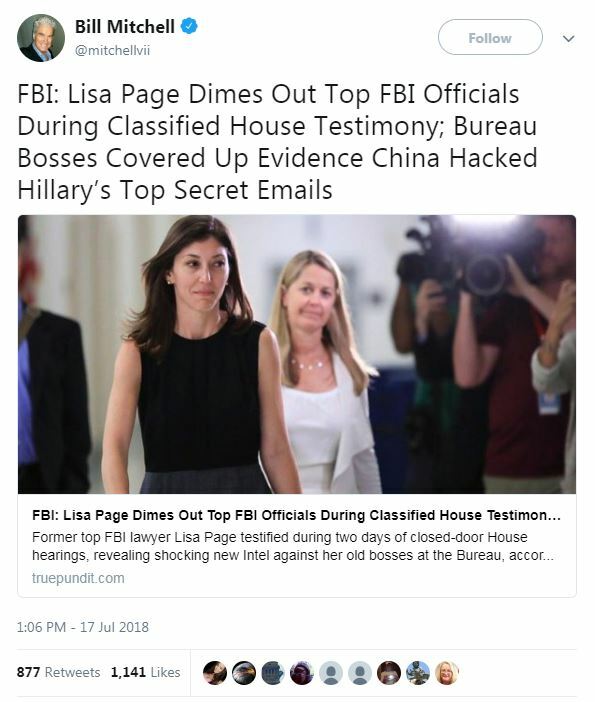 Furthermore, Page’s attorney, Amy Jeffress, told FactCheck.org that the story was “completely false,” adding that Page, in “nearly ten hours of testimony before the Committees, … did not say a single word about China hacking the DNC server, and this conspiracy theory about the FBI instructing her to cover up such a story is nonsense.” Jeffress also said Page’s testimony confirmed the intelligence community’s analysis that Russia interfered in the 2016 election. 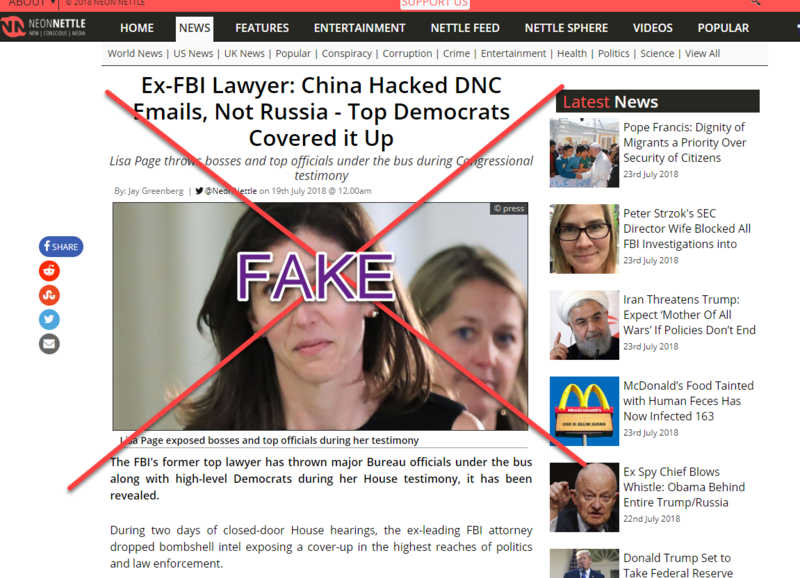 fake news sites Puppet String News, YourNewsWire, and Neon Nettle. 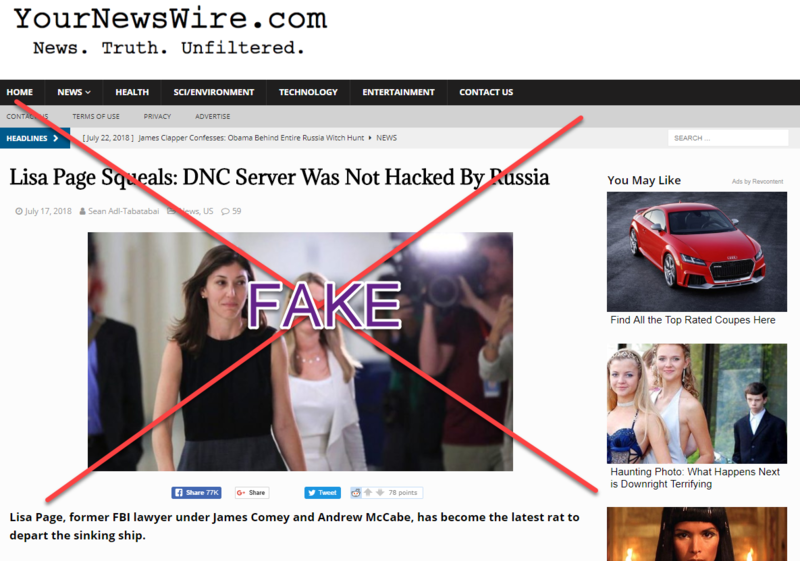 YourNewsWire and Neon Nettle specifically added that Russia was innocent of hacking the DNC server as well. (YourNewsWire has also been accused of acting as a proxy for Russia.) 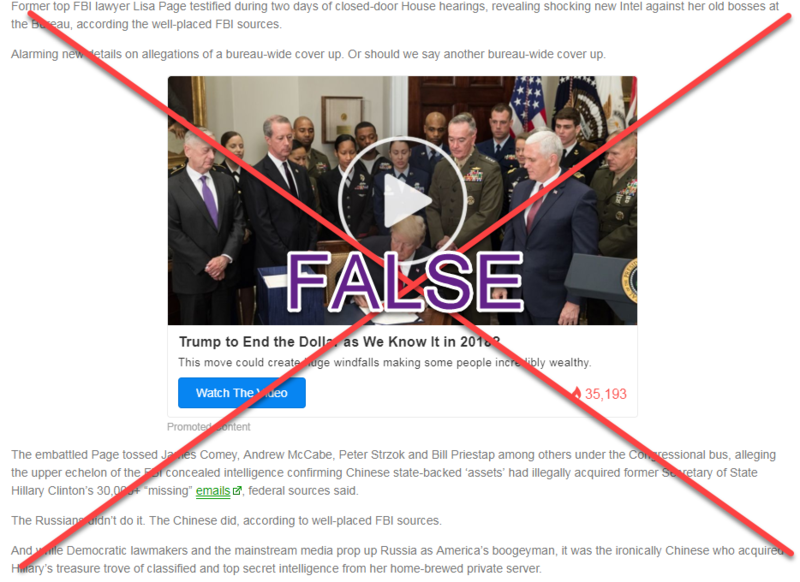 One video’s copy of YourNewsWire’s article received more than 110,000 views. 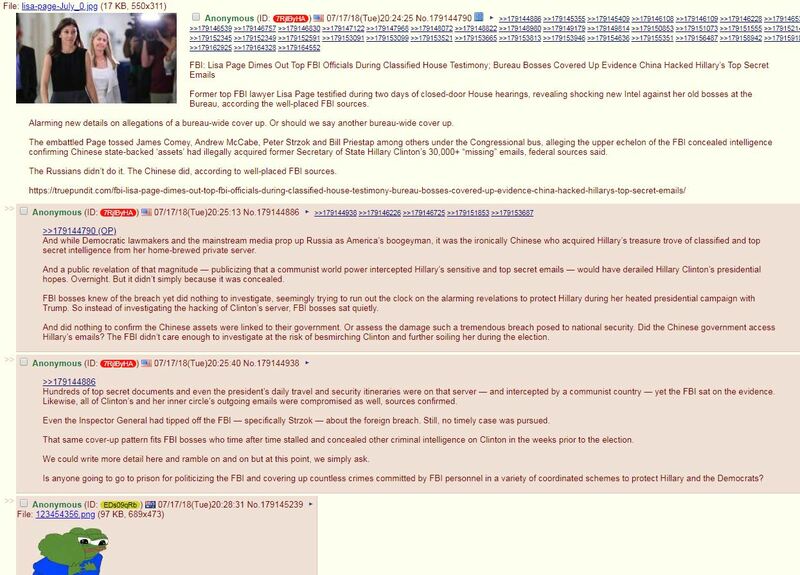 On Florida talk station WEBY-AM, a host said it showed that Page was “a woman scorned” and that Clinton had been “setting up the narrative” about Russian interference. On Louisiana talk station WBRP-FM’s Fletch Nation, a host suggested that the claim explained Trump’s July 17 statement that “other people” besides Russia could have interfered in the election. Alex Kaplan is a research coordinator at Media Matters with a focus on far-right media and fake news. He joined the staff in March 2015. 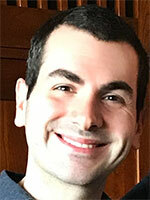 He has a bachelor’s degree in communications, law, economics, and government from American University.